A hashtag campaign is a great way to harness the engagement of Instagram and Twitter. Set a designated hashtag, and display a feed of posts (images and videos) using that hashtag. Participants will be able to vote and share on these entries. Upgrade to the Agency Plan (for 1 feed) or Brand Plan (for unlimited feeds) to gain access to the Feeds feature. 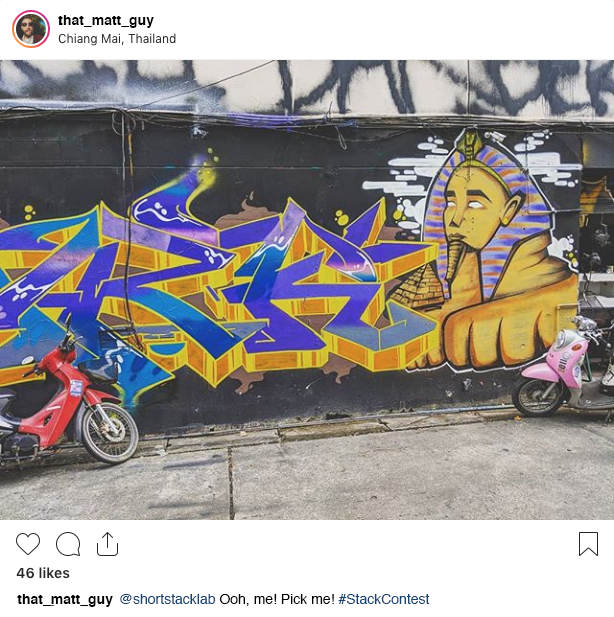 Create a Facebook Page that can be connected to your Instagram Business Account for your hashtag contest. Learn more on setting up a Facebook Page by reading our Facebook Page Primer. Create an Instagram Business Account, if you have not already done so. Instructions for creating an account can be found in our blog post, How to Set Up an Instagram Business Profile. Choose the Facebook Page associated with the Instagram Business Account. Indicate the hashtag(s) posts must include in order to enter the contest. Choose the timeframe during which entries will be collected. As you can see, one of the best things about this updated process is that people who view the entry post will also see your business being tagged in the entry. The @mention in hashtag contest entries increases brand awareness. When running a hashtag campaign, ShortStack's Voting Widget is used to display and manage the entries. The Voting Widget is connected to a list, where the posts from the feed are stored. You can find all the information on how to create and manage your feeds in the Feeds Manager help doc. If you or your brand would like to use content posted on Twitter, you can use ShortStack's rights management feature to streamline this process. If you are tracking posts on Twitter using a specific hashtag — for example, #mycutecat — and you see a post you would like to use for marketing purposes, you can ask the poster for permission. The rights management setting places a comment on the post, asking the poster to respond with a hashtag you've set. If the person replies back with that hashtag, then ShortStack will automatically detect that rights have been granted, and that post will have a "granted" status in your list. Click on the number of entries that appears below Live Entries. To the far right of the entry, select the Request Rights icon. This will open the Request Rights message, which is fully customizable. Customize the message that you want to comment on the user's post. While the request is pending, the post will have a "Requested" status in the post details. When the user replies to your comment using the hashtag you specified in your message, this indicates that rights have been granted. You will see a green checkmark to the far right of the entry in the list.